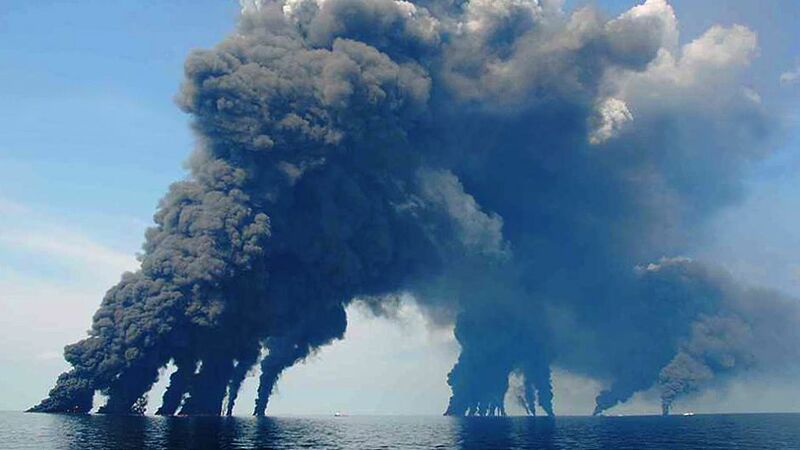 The BP oil spill in the Gulf of Mexico may have led many to believe that there are vast supplies of oil under the ground. This is, in part, true. However, the daunting reality is that the remaining oil reserves are located in places from which it is exorbitantly expensive to extract. For instance, the Gulf’s Deepwater Horizon floating drilling rig could operate in waters up to 2.4 km in depth and drill down to 9 km. This is an outstanding technological achievement — when everything goes according to plan. But when things turn bad, like they did two months ago, we have an ecological nightmare from which it will take decades to recover. This disaster should act as a wake-up call for a world economy so completely and utterly dependent on oil. It is time to say goodbye and end our love affair with oil as a fuel for economic growth. Oil is too precious a resource to waste the way we do today. Yet, most people are either unaware or completely in denial about this reality. At best, our leaders like to talk about the problem indirectly, in terms of the need to increase energy security by removing our dependence on foreign oil. To great effect, Jon Stewart on the Daily Show parodied the, as yet, empty words of the last eight US presidents as they tried to do the impossible and ensure an energy secure future. So why are people unaware? Are they being misinformed? The sad irony is that despite BP’s failure to cope effectively with the oil spill, we look to this same discredited company as a credible source of information on the state of world energy. As BP’s 2010 State of the World Energy report shows, as you would expect during an economic recession, global oil consumption declined by 1.2 million barrels per day or by 1.7% between 2008 and 2009. Well, that sounds like relatively good news doesn’t it, especially if your goal was to conserve this precious resource for future generations? Well, maybe not for future generations, but at least for another 40 years, at current rates of consumption. However, solar entrepreneur Jeremy Leggett in the Guardian has rightly criticized this claim from BP that we have 40 years of oil remaining as “dangerously complacent”. There is a new reality that BP (which might also stand for the company’s Beyond Petroleum campaign) and other oil giants do not want to acknowledge: peak oil, often referred to as the oil or energy crunch. Gone are the days when peak oil was only discussed by groups of retired oil industry geologists and engineers. It seems that with each passing year, more and more mainstream institutions are taking peak oil seriously and recognizing the major challenges we will all face as a result. A good example is the February 2010 report from the United Kingdom Industry Task Force that argued that an oil crunch will happen in the next five years. The task force included six companies — Arup, Foster + Partners, Scottish and Southern Energy, Solarcentury, Stagecoach Group and Richard Branson’s Virgin. Together they argued that an oil crunch caused by demand exceeding supply would be more devastating for the UK economy than the current credit crunch. They requested that the UK government address peak oil as a priority after the 2010 election but, sadly, this has not yet happened. More unfortunately perhaps, Richard Branson seems to be the only international business leader talking openly on the topic of peak oil. One month later, another leading figure, this time Sir David King, the UK government’s former chief scientist, was the co-author of an article from Oxford University that claimed current global oil reserves should be “downgraded from 1,150 billion to 1,350 billion barrels to between 850 billion and 900 billion barrels”. The article also claimed that “demand may outstrip supply as early as 2014”. Coincidently, only a few days earlier, researchers at Kuwait University had released the results of their modeling work that also indicates that estimated world oil production would peak in 2014. These studies reinforce the findings from a 2009 report by the UK Energy Research Centre on Global Oil Depletion, which argued that there is a “significant risk of a peak before 2020”. We really don’t have much time left. There are a number of institutions that have traditionally been optimistic and upbeat about the future of oil. One member of the optimists camp that switched sides recently was the International Energy Agency (IEA). Over the past few years, it has gradually been downgrading its forecasts for available oil in 2030 from 123 million barrels per day (mbpd) forecast in 2004 to 103 mbpd in 2009. This is a very significant revision over that five-year period. And for the first time, in a 2008 interview with George Monbiot, IEA chief economist Fatih Birol spoke openly about the possibility of peak oil around 2020. This should have been yet another big wake up call for the world, but somehow we continue sleepwalking into a potential disaster. In the United States, until this year, the Energy Information Agency appeared unmoved by peak oil concerns. However, according to Steven Kopits at the Energy Bulletin, the 2010 International Energy Outlook has shifted from the previous forecasts of oil supply abundance to a new projection of a decade of stagnation. He argues that “the EIA is expecting the oil supply to be essentially flat for the rest of the decade. The supply will creep up from 86 mbpd today to approximately 92 mbpd to 2020, but that is not much growth”. This shift to rather more pessimistic forecasts is a new phenomenon and suggests that we are being prepared for further bad news to come in the near future. However, it is encouraging to see movement in unexpected quarters, such as Lloyds Insurance and Chatham House’s June 2010 publication of a white paper entitled Sustainable Energy Security. Over at Transition Culture, Rob Hopkins states that the report’s “conclusions are striking, indeed quite extraordinary” because they recognize the need for businesses to prepare for the transition towards a low carbon economy while at the same time coping with volatile fossil fuel markets. The report argues that an oil supply crunch is likely in the short-to-medium term with profound consequences for the way in which businesses function today. It encourages businesses to move quickly to “reassess global supply chains and just-in-time models, and increase the resilience of their logistics against energy supply disruptions”. The report argues that governments, distinctly absent on this issue, have an important role in delivering policies and measures that create the necessary investment conditions and incentives. It is extremely clear that our national leaders are failing to address the question of peak oil, despite growing concerns of its imminent arrival. This is currently not an issue on the G20 agenda or up for discussion in the UN General Assembly. The academic community, in general, is also paying only limited attention to the implications of peak oil. One exception is Jörg Friedrichs, a lecturer in politics at the University of Oxford, who in a new publication examines how different parts of the world would likely react to a peak oil scenario. In a recent interview he recounted how his paper, Global energy crunch: how different parts of the world would react to a peak oil scenario, was rejected by 11 journals before it was finally accepted for publication. In the interview, Friedrichs explained why. Looking at various historical precedents when oil supplies have been disrupted at the national level, Friedrichs presents three possible ‘‘peak oil trajectories” based on (1) Japanese Predatory Militarism before and during the Pacific War, (2) Totalitarian Retrenchment in North Korea after the end of the Cold War, and (3) Socioeconomic Adaptation in Cuba in response to international sanctions. His conclusions are particularly striking and thought-provoking. “If a mix of substitute fuels can be found, and if alternate technologies are developed in time, this may mitigate the impact of peak oil and postpone the decline of overall world energy consumption for a while. But there is always another time, as infinite growth on a finite planet is impossible. At some point, industrial society will start crumbling and free trade will begin to disintegrate. Isn’t it about time that you began to take peak oil seriously? BP and the peak: delusions of oil grandeur persist by Brendan Barrett is licensed under a Creative Commons Attribution-NoDerivs 3.0 Unported License. Falling Oil Prices: Temporary Lull or Back to Normal? Your question at the end is direct and appropriately hits between the eyes. Indeed, it occurred to me in a moment of lucidity while traveling in Japan last week that given the cumulative alarms sounding and lights flashing about the perilous state of our world, it is nothing less than irresponsible that we, myself included, continue to go about life as if everything is all but normal. It’s been asked so often, but I ask again: what degree of degradation is required for us to take this seriously? Seriously enough to really take in and accept the fact that the crumbling of industrial society and free trade isn’t theoretical but is already advancing inexorably? That our life-support systems are falling apart? That our expectations of normalcy for our children is simply an unrealizable dream? And that the longer we remain asleep the worse the outcome?I think one of the major impediments to overcoming our individual and collective denial is that everything in this modern world is so intimately tied together and so fast-paced, that withdrawing (or even questioning) one thing necessarily threatens the whole project. If one thing is suspect, then everything is implicated. If keeping pace with the breathless lifestyle isn’t achieved, then it threatens being left behind altogether. As such, awareness itself becomes subversive. Cognitive dissonance becomes the norm. Forces of distraction and impulses to flee become hard to resist. Depression and despair take hold, reinforcing the cycle of perceived powerlessness.”We don’t see things as they are. We see them as we are.” – Anais NinSpeaking of alarms (and getting back to the specifics of peak oil), I thought it was interesting that a few days ago it was reported in the Middle East that the Saudi King ordered a halt to further oil exploration in order to save the remaining oil for future generations in the country (http://www.zawya.com/Story.cfm/sidZW20100704000…). His comment was later qualified by other officials clearly eager to downplay the significance, but this certainly supports the thesis that as oil reserves fall, countries will begin to curtail exports in order to protect sovereign interests. It also effectively ensures that oft-questioned figures of Saudi oil reserves will remain unknown (and, thus, likely inflated). Either way, this new development only supports peak oil arguments. It’s far too late for governments to take this seriously. We passed the world oil peak five years ago, which led to the big price shock of July 2008 (and the near-collapse of the world’s industrial economy several times since then). It’s time to make personal arrangements, but it’s far too late to save civilization (which is irredeemable, regardless). While it is very late and we should have been acting on this 10 years back, or even earlier, I don’t think it is too late. There are many ways that this could work out. For instance, we could follow the Transition model that we have written about elsewhere in Our World 2.0 where we see hundreds of communities across the world taking action and preparing for a world with less fossil fuels. Or we could follow some kind of globally coordinated approach as proposed by those behind the Oil Depletion Protocol idea. Or we do all of the above and whatever else is necessary. Two things we should not do, in my opinion, is to try to go it alone. That just wont work. The other is to allow our countries to slip into resource wars. Both of the above would be disasters. I believe we need more people aware of the situation and ready to make the transition. We certainly have all the skills, knowledge and creativity required to make this transition relatively smoothly if we begin early enough. At this point in time, we may be at the beginning of what Knustler calls the “Long Emergency” and which you refer to with the oil price spike in 2008 and the financial meltdown. So far everyone’s efforts are on propping up countries and companies, and hoping we will come out of this recession soon. We will, but then oil prices will start to climb once more and we will have a repeat of our 2008 experience. So really we need to be looking at the much deeper significant challenges like imminent oil depletion and make the necessary changes. More and more people are recognizing this, but still the growth of awareness is painfully slow. Once there is widespread acceptance then we are going to have to make some very big changes, which will be harder in some parts of the world than in others. I would make the analogy that the coming energy crunch is like steering an oil tanker into port without assistance from tug boats – you need to plan your entry 10km before you reach your destination. Our reliance on fossil fuels is so all-pervasive, there is not a single part of our lives that doesn’t require oil in some form. Our modern civilisation is that tanker ship and I think we are less than 5km from port. I recently read Matthew R Simmons “Twilight In The Desert” and I am struck by how little the public (and the experts) know about how much oil we have. Saudi Aramco has refused to reveal detailed individual field flow rates for the past 20 odd years, so no-one really has any real idea what they have left. Instead we have accepted their assurances that everything is ok and there is plenty left to ease any transiton to fossil-fuel independence, sometime in the distant future. Virtually no super fields of significance have been discovered in Saudi Arabia since the first major discoveries many decades ago. The super fields such as Ghawar have been over-exploited to the point that they risk a catastrophic pressure collapse that could potentially halve their output within 5 years. This would be disastrous for world oil demand and send prices out of control. We live on a knifes edge of energy dependence and there can be no soft landing while governments around the world refuse to take this issue seriously. I personally believe that the next 10-15 years will bring profound change to the way we live and work. We have seen the destructive results created from the latest credit crunch. When the oil crunch occurs (and it will happen) the world economy will tip into a recession so severe there will be no amount of bailout money to try and fix it. We are staring down the barrel of a loaded gun at this moment. Without clear governmental goals and strategies to wean ourselves off oil dependence soon we face a very bleak future, a future that includes a breakdown of law and order, a lack of basic food necessities, loss of private transport and war between nations over the last scraps of oil. Sir, i agree with your perspective, and as part of my preparations for any potential disruption have discovered the SODIS method, which is an easy way to get clean drinking water, which is a pre-requisite for survival. I think western populations are so brainwashed and disconnected from reality that when this hits, there wont even be a panic, because people will think it can be solved by flicking a switch or something. This is the end of an age, the 2nd great western collapse after the romans, expect this time there are hundreds of millions of people who are vulnerable to infrastrucuture shutdown. Its crazy and took me a long time to come to terms with. The only practical solution for individual and nation alike is to mass cultivate hemp, which at the very least provides food and fuel for people. Hemp has been completely suppressed by the satanist elite of the world, to the ultimate destruction of western society. this plant is critical to mans health and well being, it should never have been suppressed. Hemp can give everything we have now minus the inequality and tyanny. Try patenting a plant! A sack of hemp seed keeps you fed during hard times, and once the government is gone, there are no barriers to growing this wonderful palnt. The reason governments, academia and big business refuse to acknowledge peak oil is because peak oil is nature dictating what society does, not groups of aggressive people. If the avergae man in the street realises that if an oil field in saudia arabia collapses tomorrow, there is no food in the shops or petrol at the station, he panics and demands security, or else! Lets not debate it anymore, its happening, and you should either get prepared individually so if it hits hard, you can handle it, or if it hits gradually, you are in a comfortable position. Empires and societies have collapsed after exhausting their resource base throughout history. God gave us egos so we would break rules and hence learn more from our mistakes, experienceis the best teacher. My key learning – Dont turn your back on the hemp plant, because it is too useful to live without. I’m not too sure what to think about peak oil, after reading this and other articles arguing for the other side, it’s tough to decide. I think that governments and big business refuse to acknowledge peak oil is because they can use it as an excuse for the rising price of oil and can continue to profit from it either through taxes or directly. If they acknowledge it, then they will be asked to address the issue which would most likely result in a lower price for oil. I don’t buy into the world ending anytime soon as a result of a lack of oil. There are alternatives that have lacked significant investment due to the amount of money being made from oil. Electric cars could be the norm if there was the right amount of investment. More investment should be made into things like solar panels where efficient.